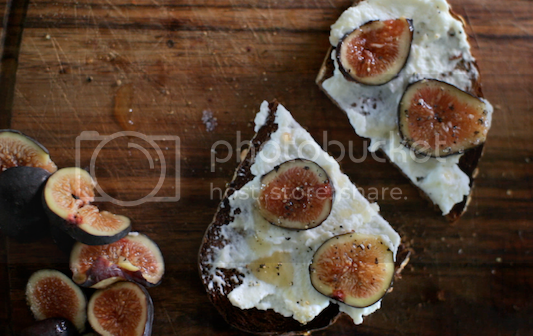 I’m honoring fig season (one of my favorite times of the year) with a fresh fig & ricotta tartine. A great seasonal breakfast or snack that’s only 5 ingredients. And if you love tartines as much as I do here are a few other favorites: Radish, Butter & Parsley, Tomato, Basil & Feta and Smoked Salmon. For more of my video recipes SUBSCRIBE to LEAFtv. this looks absolutely delicious! great idea! That looks sooo yummy. Have a great day. Look divine. I bet dates would be just as good as the figs too! Ooh la la!!! I must try this~how divine to mix honey with black pepper!! Thanks for sharing this amazing recipe! Def gonna try it soon! Hopefully you see to doing a post yourself (that is if you haven’t already, haha)! I have to try this <3 Yummy! Easy to prepare + delicious ingredients + takes a short time to make = Perfect sandwich! I really love the taste of figs and ricotta. This will make a lovely lunch or snack tomorrow!